Because of limited space in the paper copy of Opening Times (and because some of our authors can be very effusive) when available extended versions of Staggers will be published here. 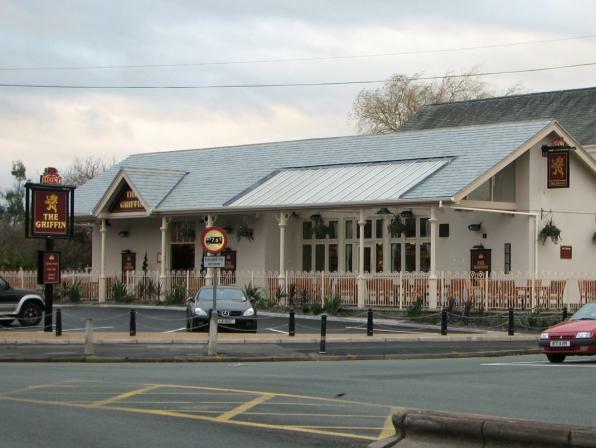 Our starting point on this cool summer's evening was the Griffin on Wilmslow Road in Heald Green. 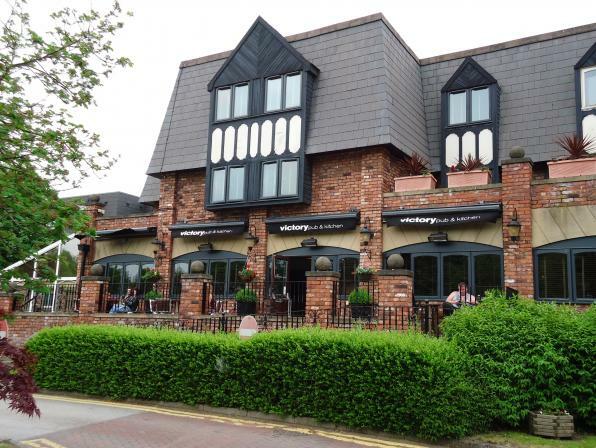 Holt's have spent millions turning this from what was a rather down-market local a decade or so ago into what, on the evidence of our visit, is a highly popular dining pub with a spacious conservatory and a veranda for outside drinking; the investment appears to be paying off. 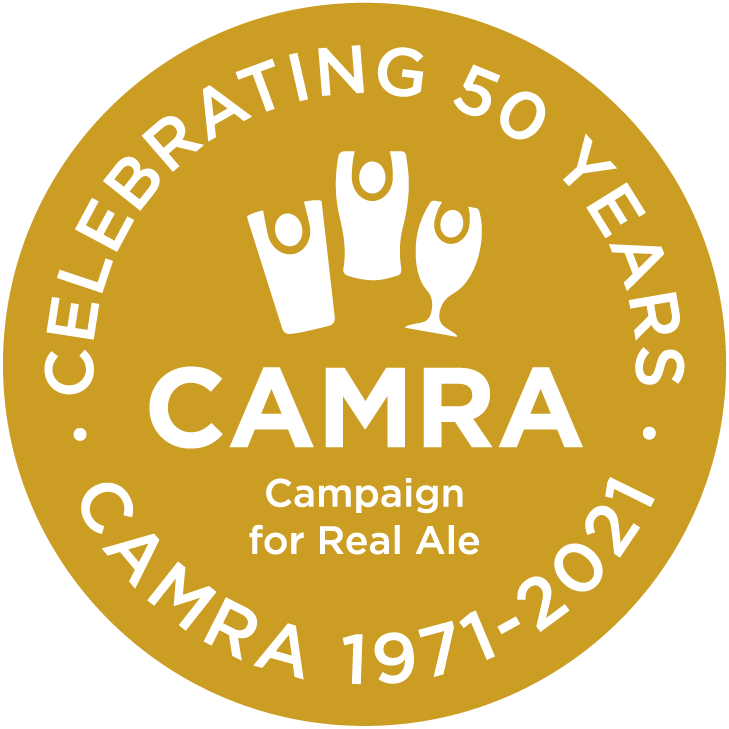 Having said that, almost half the pub is still given over to drinkers and there is even still part of the pub that might be described as a vault type area, so drinkers are very much welcome. The cask beer choice was the Bitter, Two Hoots and Hundinger. We found all but the latter to be in reasonable form. In the past the next stop on this stagger was the Ryecroft on Turves Road but this has been demolished and replaced by housing, so a change of route was called for and therefore on to the Cheadle Royal on Royal Crescent (next to the hospital) which is attached to the Premier Inn from where I suspect it draws most of its customers. As you would expect there is a heavy emphasis on food here but there was a sprinkling of customers just drinking. 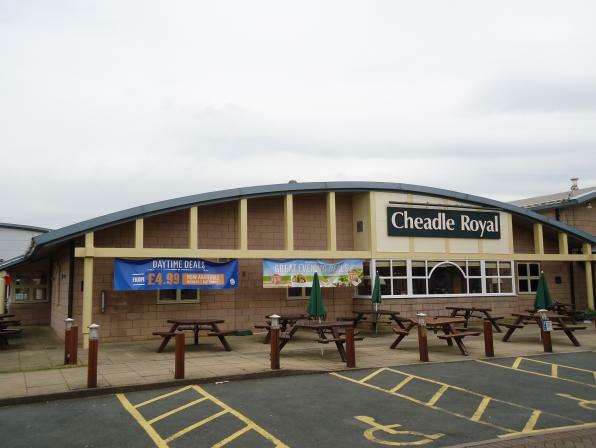 The layout and décor is 'corporate' with pine panelling and a variety of white wood furniture; outside is a small drinking area where you can plane-spot as the pub is directly on the flight path for the nearby Manchester Airport. I wouldn't make this my local but each to their own I suppose. There was only one cask beer, Jennings Cumberland Ale, although we were told that Pedigree was sometimes available. The beer was acceptable. Down Schools Hill then to the Victory at the Village Hotel only to find that they are no longer calling it the Victory, it's reverted to the Village again and there is no sign of cask beer, not even a redundant handpump. 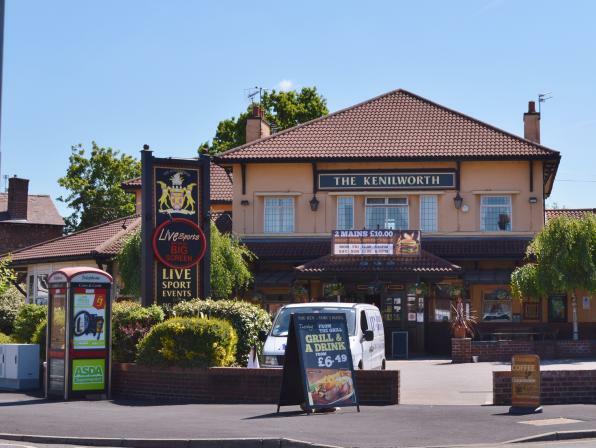 So, on we trekked to the Kenilworth on Cheadle Road. 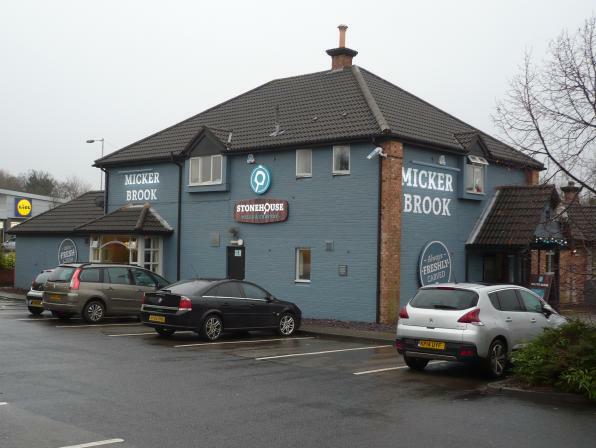 This is a large pub which often sports interesting cask beers, especially from Mobberley Brewery (one of the brewers used to live nearby). The televisions were showing Championship football but this was certainly not intrusive. The pumpclips on the three handpumps in front of us were showing Mobberley Elysium and two beers from Moorhouse's, Old Boss and K2. As we sat with our beers the affable landlord came and talked to us and told us that the K2 was badged for the pub and was actually Witchfinder General. All the beers were well received with the Mobberley the runaway beer of the night. We stopped for a second beer each, which later on proved to be our undoing. 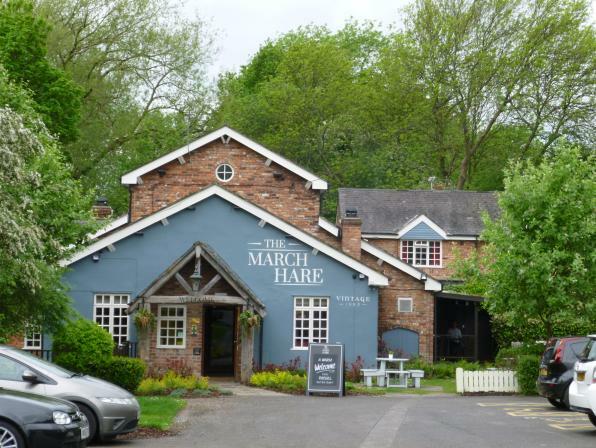 Our next stop was the March Hare on Mill Lane just off Ladybridge Road. There is a cut through but given our lack of local knowledge we decided that the longer main road route was safer. When the pub was built in the 1980s from reclaimed brick to resemble an old corn mill it was called the Old Mill, but since then along with the name change a false ceiling has been added (along with separate seating areas) I presume to give a more intimate feeling to the place. Like many around here, the pub has a focus on food but we were not made to feel uncomfortable in just drinking. Sharp's Doom Bar, Robinsons Dizzy Blonde, Black Sheep Bitter and Greene King Old Speckled Hen were the beers on offer. All but the Doom Bar were tried and all but the Old Speckled Hen were found to be in reasonable nick. As we were leaving we realised that we had mistimed things somewhat and were running out of time to get down to the Micker Brook on Councillor Lane, and so we decided to give it a miss. 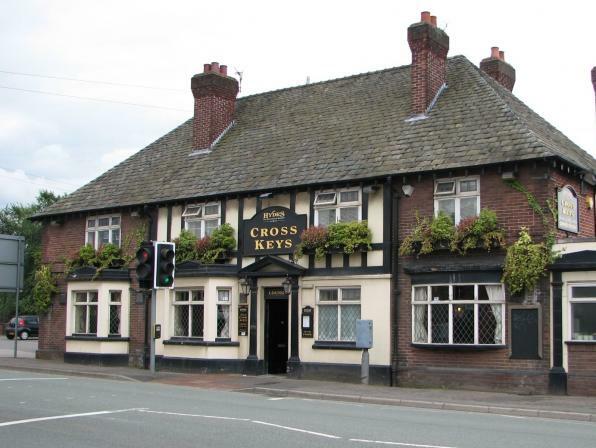 We therefore wound our way past the houses and flats that were built on the site of what used to be the Greyhound to the Cross Keys on Adswood Road. In contrast to all the other pubs on this stagger this is a very lively Hydes wet-led community pub with a lounge to the front and a vault at the rear. There used to be a rather pleasant bowling green at the back which has had housing built on it, though the pub still sports an agreeable enough outside drinking area. The lounge was heaving with people listening to a disco, with a number of female customers dancing to the music. We therefore sat in the vault next to the pool table to try the one cask beer available, Hydes Original, which we found to be in reasonable nick. Overall this was a stagger with just the one stand-out beer but with some interesting enough pubs.